In a world where forecasting seems futile, where predictions are unreliable, and where even the most absurd scenarios are plausible, many urban planning decisions seem to be governed not by vision – but by fear. Fear of disaster, fear of change, fear of the unknown. Can we learn from ‘fear’? Can we even use it as a guide for spatial planning? City Shock explores ten innocent ‘what ifs’. What kinds of radical trend breaks can we expect, and with what effects? Guided by fantasy rather than science, this book imagines how each of these scenarios could play out in the Dutch landscape between 2018 and 2047. In a narrative composed of (im)possible headlines, a chain of fictitious newspaper spreads reports these events, exposes their possible causes and depicts their potential consequences for Dutch spatial planning and lifestyle. 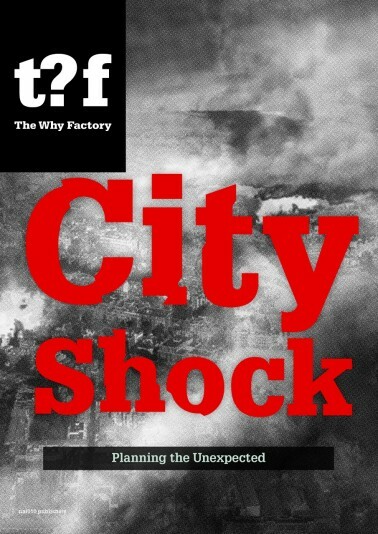 City Shock is the sixth book in the Why Factory’s Future Cities series. This publication is a replacement for the previously announced publication NL to Do.